Kick back this summer with these simple fruity drinks. 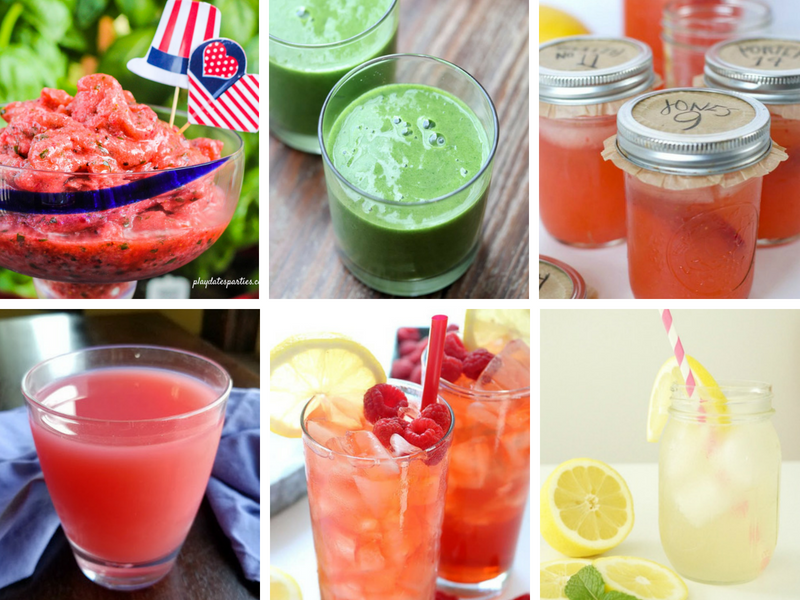 From nonalcoholic to recipes with alcohol, these easy drinks will help you beat the heat! 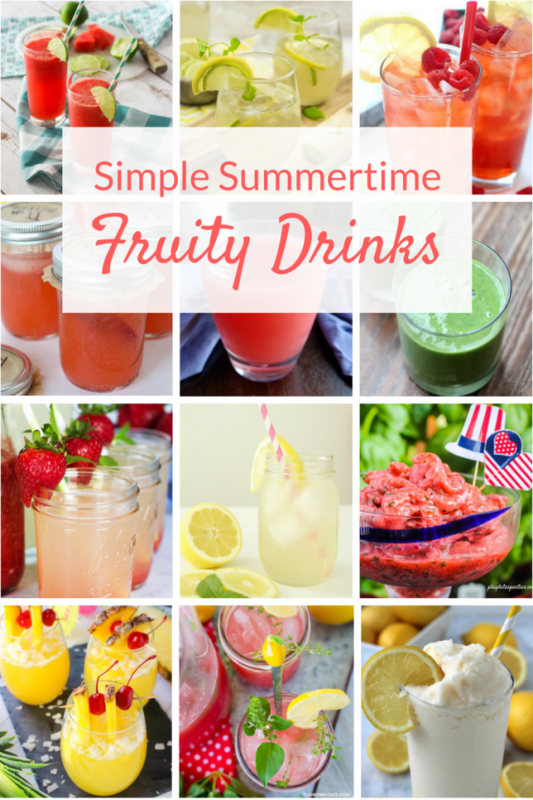 Fruity drinks and summertime go together like chocolate and peanut butter! There’s nothing better than lounging with a cold, refreshing fruity drink—especially if it’s frozen with a splash or two of alcohol! 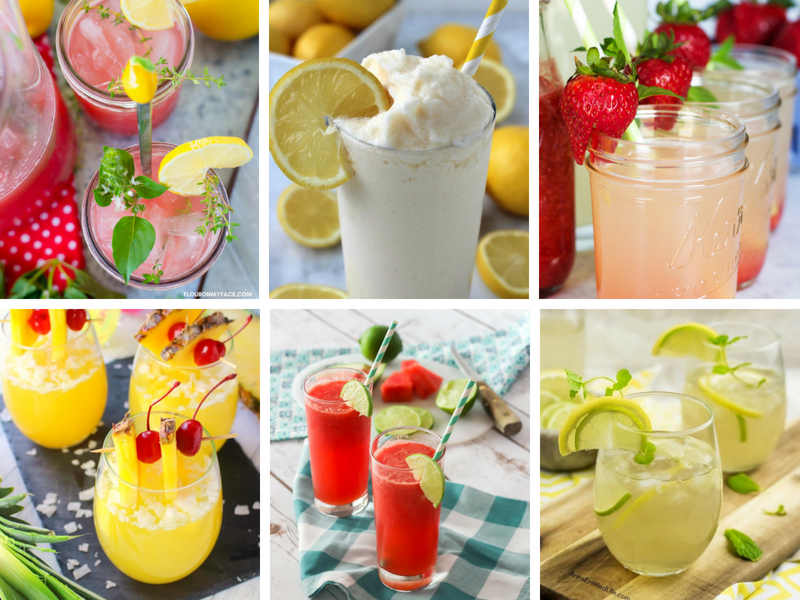 These fruity drink recipes scream summer, and the best part is they’re all simple and easy to make for yourself, or for a crowd. Whip up a batch for your next backyard party! This entry was posted in Merry Monday Link Party, What's Cooking on June 3, 2018 by Two Purple Couches. Thank you for featuring my lemonade recipe this week! What a great collection of drinks! Thank you for including my Sorrento Sunrise Cocktail. Thanks for including my Watermelon Lime Spritzer Emily!